Dieter graduated from the Welsh School of Architecture, Cardiff University in 1995. Building on a successful decade in practice as a registered architect working on a diverse portfolio of built projects, Dieter completed a Master’s degree in Construction Law and Arbitration at King’s College, London. 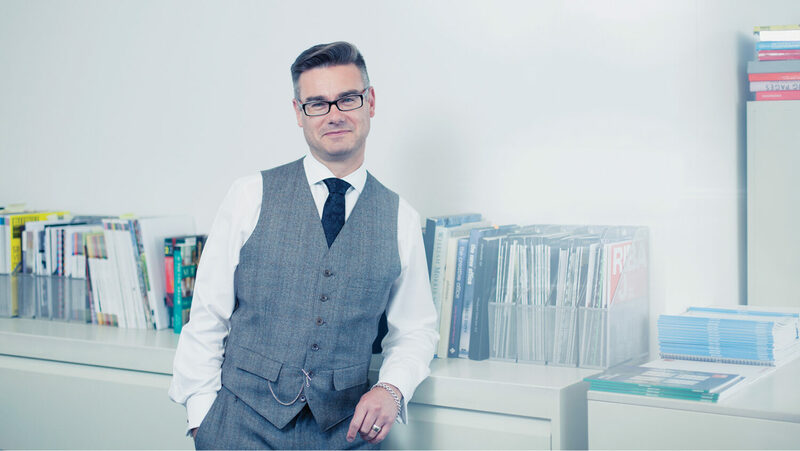 Following a period working as an expert witness providing reports for the benefit of the Technology and Construction division of the High Court regarding Architects’ professional standards and duties, Dieter joined EPR Architects’ technical team in 2006 and was promoted to Director in 2007. Dieter is responsible for the practice’s contract, risk and quality management, including professional indemnity issues. He oversees and advises the design teams regarding all aspects of technical design, specification, legal compliance and construction best practice. He maintains the practice’s RIBA Chartered Practice status reviewing and implementing practice policy and is chair of the RIBA’s Regulations and Standards Group, a member of the RIBA’s Practice and Profession Committee and a former co-chair of the RIBA’s equality, diversity and inclusion advisory group Architects for Change.